Christmas Loot! Some cool baking stuff I received. I hope everyone had a great holiday! I know I did. It was just a nice, relaxing day with family. But who am I kidding? Getting presents is fun too! I just wanted to share some of the cute baking stuff that my family got me. 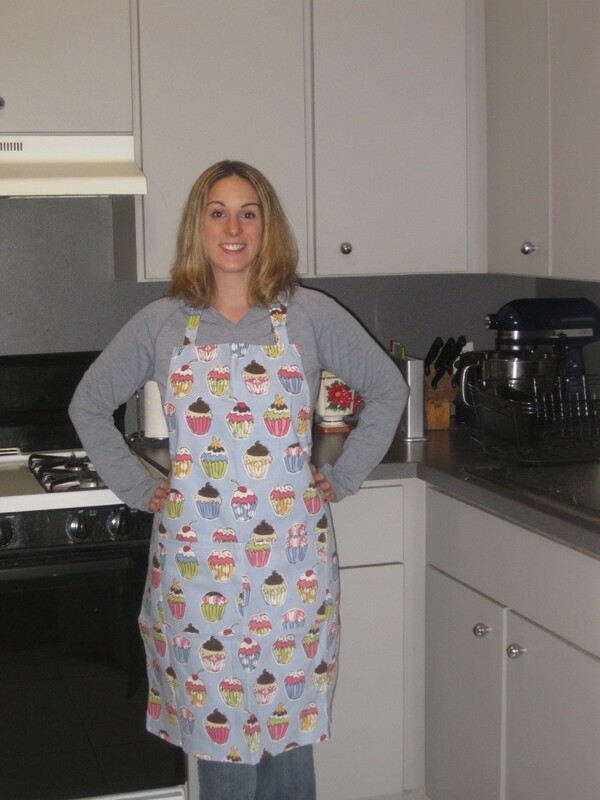 This cupcake apron is so adorable. I love the print, and the fact that it’s blue (one of my favorite colors). 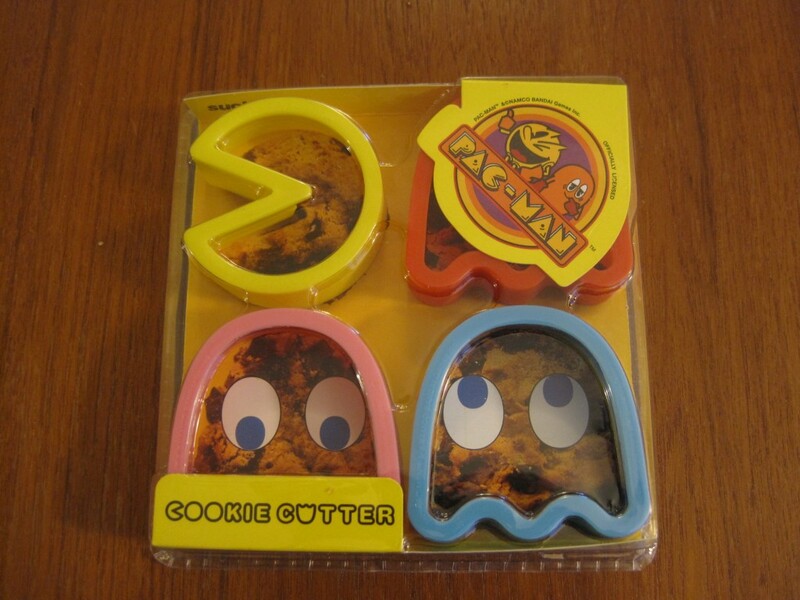 I also got these really cool Pac Man Cookie Cutters. Now I just have to get pink, blue, and yellow decorating sugar (I already have red) to make Pac-Man sugar cookies! Poor Clyde got left out, but I guess I could make a couple orange ones too. 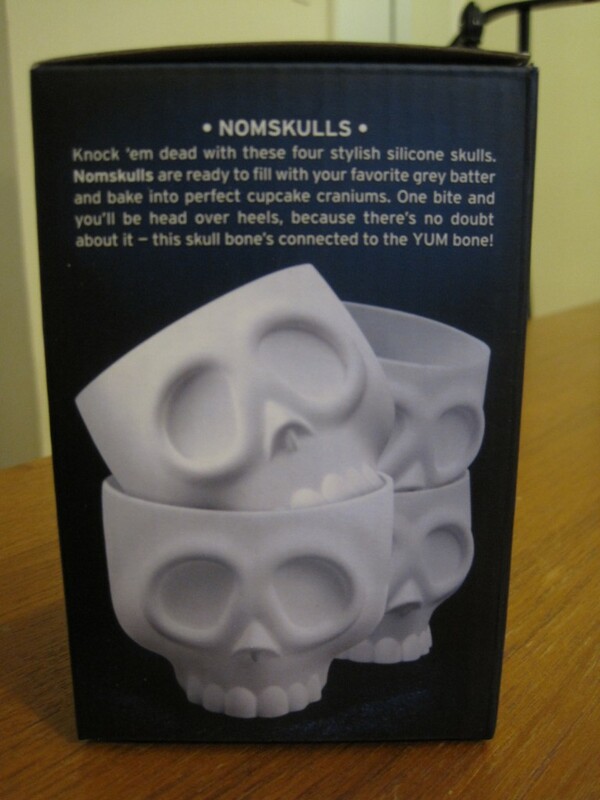 And last but not least…I received these cool skull cupcake molds! 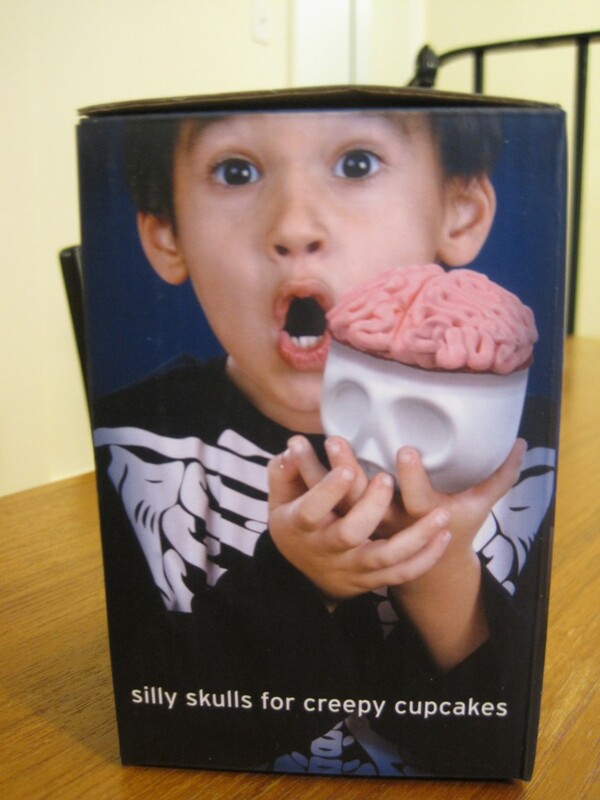 Being a former neuroscientist, I actually saw these before and really wanted them. But they were sold out. Imagine my surprise when I opened them on Christmas day! 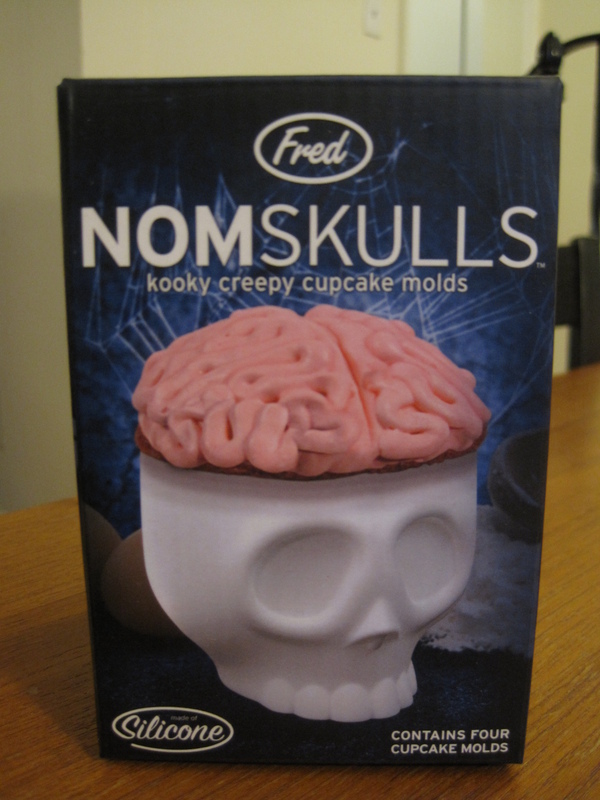 They are perfect for Halloween (or anytime really, if you like brains). A little pink icing and they will look perfect! So thank you to Anna Marie, Dennis, and Michelle for my awesome baking-themed gifts!! I can’t wait to use them!